Schools are sending unvaccinated kids home — and parents risk a government fine. A new law in Italy came into effect this week that makes it compulsory for every child in the country to receive a range of immunizations including measles, polio, chickenpox and mumps. Parents had up until March 10 to ensure their children were vaccinated — and, according to the BBC, schools are sending kids home if they don’t have proof of vaccinations. Children under six won’t be able to go to nursery and kindergarten without proof of vaccinations. Children between six and 16 are technically allowed to go to school, but their parents will risk a fine of $560 if they remain unvaccinated. The topic has been hugely contentious in Italy, where residents have been voicing their discontent with the new law for months as part of a global anti-vaccination push — despite the fact that vaccinations have been proven to be one of the most cost-effective ways to avoid diseases in human history. The World Health Organization called the antivaccination movement one of the greatest threats to world health in January. In September, around 1,000 Italian children with impaired immune systems were forced to stay at home since they weren’t sure their classmates were vaccinated or not. The news also comes after YouTube pulled ad placements on a number of anti-vaccination related channels last month. 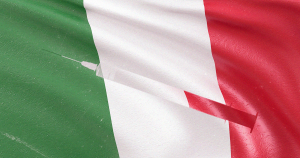 Research suggests that Italy’s vaccination rates for measles dipped from the World Health Organization recommended 95 percent target down into the mid to low 80s over the last two years. When vaccination rates go up above 95 percent, “herd immunity” kicks in — the spread of disease becomes so unlikely that it protects those who can’t be vaccinated for medical reasons.